The silence is deafening. The corrupt observe a code of silence. So do the corrupted. And the people suffer in silence. If only all the trees and the various species that live in India's environment could speak, they, too, would speak volumes about corruption. But given their existential reality, they also suffer corruption in silence. Corruption makes a mockery of the system of governance, of democracy and of development efforts. It leads to the degradation of the environment, robs regeneration efforts of effectiveness and prevents efforts to control pollution. Eminent economist Gunnar Myrdal, writing in his famous trilogy Asian Drama: An Inquiry into the Poverty of Nations in 1968, had said; "Although corruption is very much an issue of public debate in all South Asian countries, it is almost taboo as a research topic and is rarely mentioned in scholarly discussions of the problems of government and planning." He added, "...a commonly expressed opinion in India is that administrative corruption, in its various forms, is all around us all the time and that it is rising." It is now 30 years since Myrdal published his study. Precious little has changed since then except that corruption has risen. 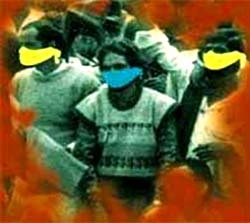 In recent years, the media, the courts and the civil society, especially in India, have been paying greater attention to high-level corruption within the political world. Apart from the public interest cases that have been filed against allegedly corrupt politicians, anti-corruption campaigns led by Krishna Bhaurao Hazare (popularly known as Anna Hazare), an environment activist-turned-corruption crusader, have received considerable media publicity. But this has resulted in more talk about "the corrupt" instead of a debate on the "sources and causes of corruption". It is equally, if not more, important that the administrative form of corruption or the reasons behind it are also highlighted by the media. When we think of corruption, we think of defence deals and gas pipelines or fodder and stock market scams. The focus is always on the corrupt. Meanwhile, the system of governance is being eroded also by the corrupt at a much lower level. It is often the corruption of these minor functionaries which affects the common person. When it comes to dealing with problems such as poverty, illiteracy, creating a balance between the environment and development, and providing everyone with access to clean drinking water and decent, basic health services, low-level corruption is the major roadblock. Experiences from abroad also have something to teach us. The us, Japan and South Korea are among the most dynamic countries in the world where higher political echelons are known to be riddled with corrupt practices. But what differentiates these countries from South Asian countries, such as India, is that once a politician gets enmeshed in a corruption scandal, regardless of whether that politician is a president or a prime minister, he/she has to pay a price. On the other hand, in India the famous hawala case, in which several politicians were charged but no evidence was unearthed, has shown that our investigation agencies leave a lot to be desired. Moreover, there is almost no low-level corruption in these countries, leaving the average citizen free from exposure to corruption. The inefficiency, sloth and inaction of the Indian government is taking a far heavier toll on its citizens, the economy and development than any high-level political corruption ever can. Today corruption affects the daily life of every Indian citizen. India today suffers from what a corruption expert has called the phenomenon of "tidal corruption". As a result, everybody joins in the plunder of state resources, including state-owned natural resources. Corrupt junior forest officials abet the pillage of forest produce. Those who live in the jungle have no stake in saving the woods. Hence they prefer to join in the plunder. Corrupt government officials siphon funds meant to clean drains, repair roads and dispose off garbage. The residents know their grievances will not be redressed. They, therefore, keep quiet and, thus, abet the plunder. The state-owned Indian Oil Corporation knows that it is supplying dirty fuel well below international standards despite the fact that their actions are responsible for the deaths of thousands of urban Indians. Moreover, there is enormous adulteration of diesel with kerosene because kerosene is priced cheaper. In addition, various waste streams coming out from refineries are purchased and used to adulterate motor fuels, especially petrol which is heavily taxed and, therefore, very expensive. Monitoring of this adulteration is extremely poor. And as a result nobody really knows precisely what is the exact nature of the chemical soup that marks India's urban air. The public also participates in this corruption by keeping quiet about the pollution of the air. India's governance system was developed in the 19th century by a colonial power whose key interest was to exploit the country and extract as much wealth as it could for its own economic growth. This governance system has continued into the post-independence period and it cannot lead India to a dynamic future in the 21st century, especially a future which will be riddled with problems of heavy population growth, industrialisation, urbanisation, agricultural modernisation, poverty, illiteracy and pollution. It is obvious that India's governance system must change. It has become critical for us to identify and promote effective efforts to fight corruption. Even if the political system does not respond to this challenge, the civil society must organise a powerful force against it. Some Western experts and economists tend to argue that corruption may be immoral but it is nothing more than a transaction cost. Such an argument can lead to the belief that Fighting corruption is not important. But that is far from the truth. Various studies have shown that corruption affects the rate of economic growth of nations. But what is even worse is that for those poor people who cannot afford to pay the so-called "transaction costs" - and there are tens of millions of such people in India - corruption tantamounts to oppression and violence by officials and can engender considerable public alienation. Corruption can become a major social evil in highly divided societies in which state officials come from the upper classes. Corrupt officials will ensure that the benefits of official programmes do not reach the poor and the marginalised. Therefore, corruption will have enormous economic, social and ecological costs in a country like India. State regulations are extremely important to protect various elements of the ecosphere like air and water against pollution, and from over exploitation. But corruption, lack of public awareness of the importance of natural resources for daily survival, and policies that exclude the participation of the people can render the laws ineffective. The Wildlife Protection Act and the Water Pollution Control Act were enacted in 1972 and in 1974 respectively. This was followed by the Air Pollution Control Act in 1991. And in 1990, the Centre created the department of environment which was later upgraded to the status of a full-fledged ministry. However, these Acts and institutional infrastructure have done very little to protect the environment. The Supreme Court's effort to curb pollution in Delhi has also faced problems posed by people with vested interests (see box: Judicial drive). And wildlife trade, which provides handsome perks to both officials and poachers, goes on unchecked. "No worthwhile campaign to fight crime against wildlife can succeed without the cooperation of the people inhabiting protected areas and buffer zones," says a government report. However, wildlife protection laws are doing exactly the opposite - turning the people into outlaws in their own habitat. The result: forest-dwellers view the forest and wildlife as a "leper's sore". They become an easy prey to the designs of poachers who exploit their knowledge of the forests. The government's strategy has mainly been to induct more guards. But it is clear that unless local communities are made stakeholders in the forest, and given tangible and real control, bringing about a change will be difficult. Various provisions of the Forest Act give forest functionaries wide powers. Tribal activist M D Mistry of Gujarat cites Section 69 of the Act which presumes that forest produce belongs to the government unless proved contrary. Similarly, Section 64 empowers officials to arrest a person without a warrant which gives functionaries wide powers. The Act also requires a "transit pass" to shift any produce through the forests. Thus for the forest communities there are just two options - either break the laws or pay a price to allow it to be broken. The Gujjars, nomadic herdspeople, were faced with a peculiar problem in the autumn of 1992. The forest guards who normally "granted" them entry into the state-owned forests (their winter abode in the foothills of the Himalaya) presented them with a new demand. The "entry fee" had gone up. They were told that the prime minister had gone to a foreign land called Rio where it was agreed that human beings would not be allowed into the forests. Now the guards could allow the Gujjars in, but at a personal risk. Thus, instead of the usual rate of one kg of ghee per milking animal each month and one kg of milk per day for each animal, they needed to double the bribe. And for the ghaas salami (literally meaning salute for the grass) instead of Rs 30 per animal, they now needed Rs 80 per animal. The "Rio payment", as this came to be known, is paid till date. Such payments arc not unusual. Poor forest-dwellers and villagers regularly pay them for their survival (see box: Birds of burden). As a result, forest communities have no stake in conservation programmes. And poachers and smugglers have a field day while local forest functionaries mull over the provisions of the Act for their personal gains. Small may be beautiful, but not in terms of the bounty. The larger the project, the bigger the "10 per cent" cut allegedly paid as a bribe to politicians and bureaucrats by the contractors. To secure a deal, a contractor pays the signing authority a certain cut from the money sanctioned for the project. The remaining money is pocketed by the contractor and very little is actually spent on the project. In Bihar, some 3,400 km of embankment has been constructed at the cost of Rs 375 crore in the last 34 years. And Rs 475 crore is said to have been spent on annual repair and maintenance. In this same period, the flood-prone area in the state shot up from 2.5 million hectares (m ha) to 6.4 m ha. It is now well known that embankments exacerbate the intensity of the flood. The river bed rises as a result of siltation, and there is increasing drainage congestion of the flood plains (see box: Changing course). However, the multiplying costs of construction and repair over the years have built up a politician-engineer-contractor nexus. These people share a strong vested interest in "development" projects, particularly since embankments can get washed away in the floods. It is often said in Bihar, one of the most corrupt states in the country, that the final payment for the embankment is given the day the contract is awarded. The work is not even undertaken. Because it can always be argued it got washed away in the subsequent monsoon season. In this scenario it is impossible to even hope that alternative flood control policies will be seriously discussed. There is so much money in what is happening now (see box: Permanent job). The official loot of the treasury can have equally adverse effects on the environment. Government subsidies have been considered necessary to support the poor and meet vital national goals like self-sufficiency in food. But subsidies given in the name of the poor have usually benefited the rich. For instance, subsidy on diesel for irrigation provides cheap fuel to run luxury cars (see box: Robbing the poor). Untargetted subsidies have led to inefficiency in the use of natural resources and consequent over consumption has had adverse impacts on the resource itself. Even the white paper on government subsidies in India produced by former Finance Minister, P Chidambaram, accepts that "untargetted subsidies promote inefficiency and wastage of scare resources". Even the relative importance of different subsidies has also changed over the years. Food subsidies which accounted for 70 per cent of total explicit subsidies had declined to 40 per cent in 1995-96 as compared to the previous year. And in 1994-95, the Centre spent more than five times less money on "merit" goods - necessary for social justice and equity - than what it did on "non-merit goods". In a bid to protect the global environment, various countries have forged environmental treaties relating to protection of the ozone layer, global biodiversity and endangered species. 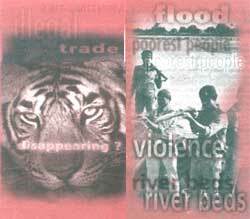 Corruption can affect the successful outcome of several of these treaties, as in the case of the Indo-China tiger conservation programme (see box: Species at stake). The smuggling of chlorofluorocarbons (CFCs) is another happening which threatens to jeopardise the Montreal Protocol. An estimated us $500 million worth of CFCs were smuggled into the US in 1996. It is alleged that CFCs manufactured in India, China, Mexico - developing countries are allowed to continue manufacture of CFCs under the pact - are finding their way to the industrialised world. Although the us has stopped producing or importing CFCs, it has not banned the sale or use of the compound made before the 1996 deadline. The exemption, meant for the servicing millions of on-road cars which use CFC air conditioning, has encouraged a black market to flourish. Smuggled CFCs are passed on as recycled CFCs. While there is no evidence to link Indian industries to the illegal trade, it is suggested that CFCs manufactured in India and exported to licensed dealers or industries as per the guidelines of the Montreal Protocol makes its way to lucrative markets in North America and Europe. Russian manufacturers are said to be deeply involved in the illegal CFC trade. The solutions to corruption lie in a complex and comprehensive set of responses.  There is a need to study and spread greater public awareness about how corruption is gnawing away the vitals of society and affecting its governance system. This is particularly important in a situation when corruption is not just limited to high-level politicians but extends to every nook and corner of the governance system.  There is a need to promote greater transparency in governance systems. The civil society and the media can play a critical role in bringing about this change. The Centre for Science and Environment, for instance, is currently working on a project to publicly rate the environmental performance of Indian firms. The purpose of this project, funded by the United Nations Development Fund and supported by the ministry of environment and forests, is to focus public attention on companies which flout environmental norms. This transparency will, on one hand, provide a "reputation-based incentive" to companies which are making an effort to improve their environmental performance. On the other hand, it will provide a disincentive to government agencies, like pollution control boards and industrial development banks which provide finance, in dealing with the companies badly rated.  Participation of the public in government policies and programmes is crucial together with measures for promoting transparency. Even at the village-level experience shows that when decisions are taken at the gram sabha level - that is, in an open meeting of all village adults - rather than in a closed meeting of the gram panchayat - that is, the council of village elected representatives - they are much more honest and usually favour projects that benefit the villagers at large rather than a privileged few. In 1977, when the Rajasthan government had announced an antyodaya project which aimed to identify the five poorest families in the village for government support, the identification process went off well till senior district officials held open village meetings to identify the target group. But after the senior district officials argued back that this involved too much work and the identification was handed over to the patwari, the village-level revenue functionary, everything went wrong. The patwari would consult the panchayat leaders and they would normally get their kin or henchmen included in the list. While there are now several excellent models for effectively involving local communities in natural resource management, there is a need to develop effective models for involving the public in environmental regulation and inspection system. The latter is an area that needs considerable thinking, research and experimentation. One possible model could be built on the jury system adopted in a few western countries. Citizens can be mandated to work as environmental inspectors for a specified period for which they will be paid. A city government, for instance, could take on 500 to 1,000 citizens every month and put them through a week-long training programme on the importance of air and water regulations and give them details of the work they are supposed to do. Squads of three to four inspectors can then be sent out together to undertake inspection of polluting activities in order to reduce the chances of corruption by the team inspectors. Samples collected by them could be coded before being sent to the laboratory. In this way, the government will also be able to save the money that is otherwise gobbled up by corrupt officials. As inspection teams will change rapidly, there will not be enough opportunity and time for them to develop a nexus with the polluters. Moreover, these people would, in turn, play a key role in spreading awareness on the importance of environmental protection within society. As many well-educated people can be brought into the inspection process, the quality of the inspection force can also be raised.  Corruption has to become an important issue in primary and secondary education in order to deal with those cultural aspects that engender the phenomenon. A respect for state regulations and state property, for nature, and for the poor and marginalised must be to inculcated from childhood. But this requires a clear acceptance by the political system and the powerful in the society that corruption is an epidemic phenomenon and must be faced frontally.  The civil society must organise itself to promote a campaign for alternate forms of governance. Myrdal points out, "... The relative integrity in politics and administration was achieved in Great Britain, Holland and Scandinavia during a period when state activity was reduced to a minimum." This comment raises a serious question whether a decentralised governance system in which the role of the state is limited would be critical for containing corruption. It could be argued that the role of the state should be restricted to that of regulator rather than that of regulator, producer and provider, all rolled into one. By restricting the size of the state bureaucracy, the government would also be able to pay its officials, especially junior officials, better. Low salaries of these officials is often cited as a cause of widespread corruption. Decentralisation efforts in villages like Seed, Sukhomajri and Ralegan Siddhi have shown that not only does devolution of power to structures like gram sabhas (village assemblies) lead to less corruption but also better village-level natural resource management (see box: Bringing to heel). In India, however, the biggest opponents to measures to decentralise control over finances and natural resource management to local bodies like village councils and urban municipalities have been state-level legislators. This happened both in the case of Karnataka and Madhya Pradesh where attempts have been made to promote and strengthen Panchayati Raj.